Bermuda headquartered Hiscox, an international specialist insurance and reinsurance group, has published its results for 2012 today and in the published regulatory announcement Hiscox discusses the benefits that an investment made last year in a catastrophe fund operated by hedge fund backed reinsurer Third Point Re brings to it. Hiscox says that by engaging with third-party reinsurance capital in this way it helps the insurer adapt with the market. The announcement we carried last October was simply an agreement in principal between Third Point Re and Hiscox for a partnership on the soon to be launched catastrophe fund, the Third Point Reinsurance Opportunities Fund Ltd. In its results announcement Hiscox disclosed that it made a $13.2m investment into the fund, which represented a 32% non-voting interest holding and was subject to a two-year lock-up period, on the 27th December 2012. Hiscox clearly see’s the benefit of this strategy and has committed to invest a further $16.8m into the Third Point Reinsurance Opportunities Fund, an additional investment which the results say is payable on demand. 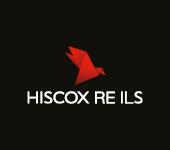 As part of the arrangement Hiscox will also be ceding certain tailored portfolios of catastrophe reinsurance exposure to the Third Point fund, but as of the 31st December no contracts had yet been ceded to it according to the announcement. Hiscox operate various quota share agreements with other partners, such as Aviva who it underwrites catastrophe business for. It’s possible that these portfolios may be suitable for transfer to Third Point in future. Masojeda said that Hiscox have been investing in a small portfolio of catastrophe bonds issued by cedents for a number of years, saying that; “A catastrophe bond is no more than a reinsurance contract and a bond investment linked together”. Then in 2012 Hiscox made the investment in Third Point Re’s cat fund which gives it both a way to profit from its investment and also cede portfolios of risk to it should it choose. Tagged as: bermuda, hedge fund, Hiscox, reinsurance, reinsurer, Third Point Re, Third Point Reinsurance, Third Point Reinsurance Investment Management Ltd., Third Point Reinsurance Opportunities Fund Ltd.